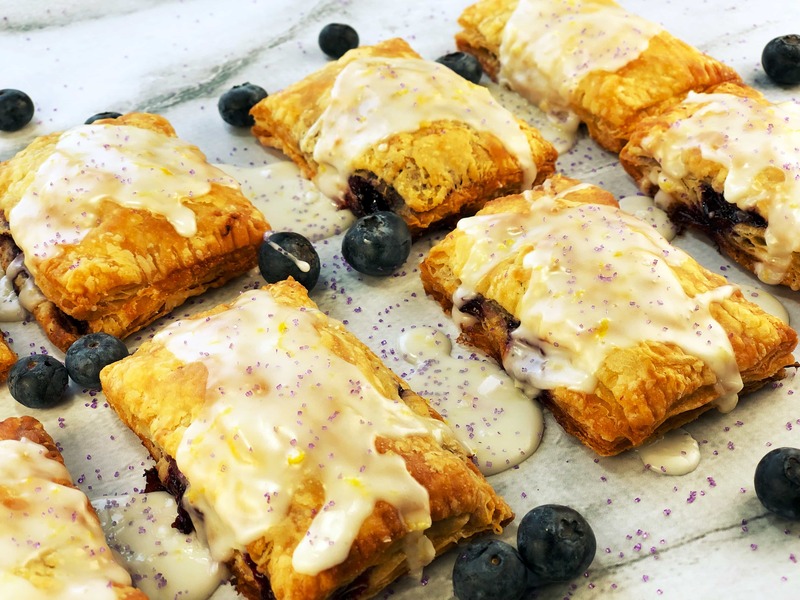 Blueberry Lemon Hand Pies! 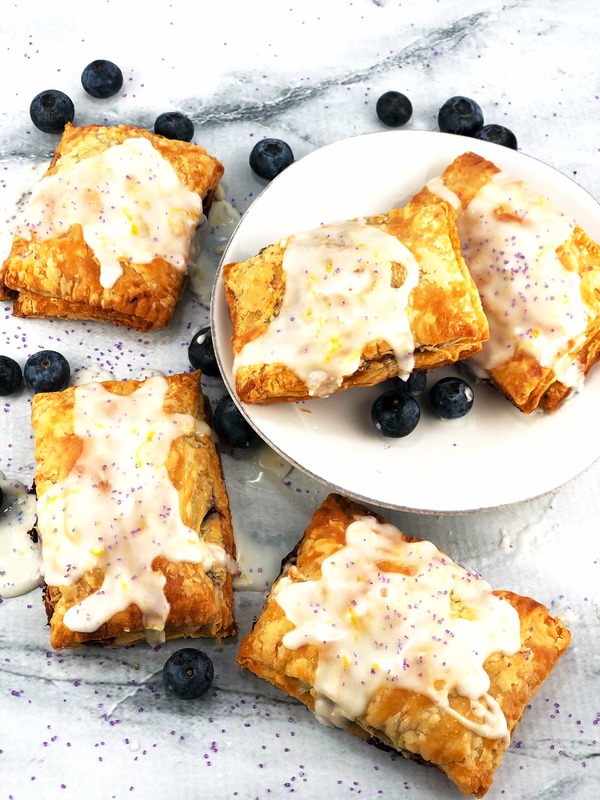 Your own personal handful of joy: the flakiest tender crust envelopes a lush fruity blueberry jam and the whole thing is covered with super-lemony-sweet glaze! Is your mouth watering yet? In the summertime, when we were kids, we always looked forward to our 2-week vacation. On Day 1, Mom and Dad would wake us up at 4 in the morning, when it was still dark, pile us in the back of the station wagon, with both the middle seat and the rear-facing “way back” seat down. (I know! These days there aren’t many “way back” seats in station wagons, much less REAR FACING!). Anyway, they would add a few pillows and a couple of blankets, and we were off! Seatbelts? Not sure we even knew those things came in the car. But we looked forward all year to our annual trip to Kansas to visit grandparents, aunts, uncles and COUSINS! 860 miles. Sometimes all in one day. But sometimes not. So, after the sun came up(!) and we’d completed the first 100 miles or so, we were more bored than hungry. (And, just think 760 more miles to go! Poor Mom and Dad!) So, Mom would break out the breakfast. Something we couldn’t spill in the car, for sure. About the time I was about 5, we got our first taste of PopTarts! In those days they were thick with jam or brown sugar filling, with tender pastry and a nice layer of frosting on top. Understandably, we thought we’d died and gone to heaven! What was this magic? Parent-approved pie for breakfast! Who wouldn’t want that? Today, I understand Kelloggs sells more Poptarts year over year, adding more flavors all the time. But I do miss the old PopTarts, the ones that were soft and thick, filled with fruity jam or brown sugar cinnamon, and covered with frosting. Because of that, this is my attempt at creating PopTarts, or in this case, proper Blueberry Lemon Hand Pies. The the tenderest, flakiest pie crust – just look at those flaky layers – surrounds a simple homemade jam made from fresh blueberries, all topped with a super simple lemony glaze. And, if you don’t like to or want to make pie crust and jam from scratch, just get storebought. No judgment, bakers! 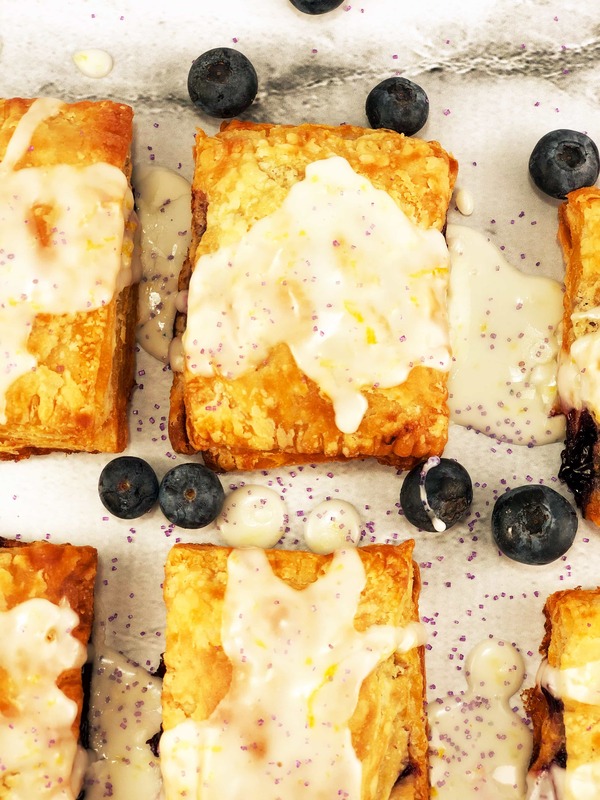 Now, I don’t know about you, but I could eat Blueberry Lemon Hand Pies for breakfast any day of the week. Or mid-morning snack. And, then again as an afternoon snack. Or dessert. Or late-night snack. So useful, these little bundles of joy! So, go ahead, make this embarrassingly easy (yet PERFECT!) crust, jam it up, top it, and glaze it for a PopTart (or Hand Pie!) you won’t regret it! For more Blueberry-Lemon creations, click HERE! 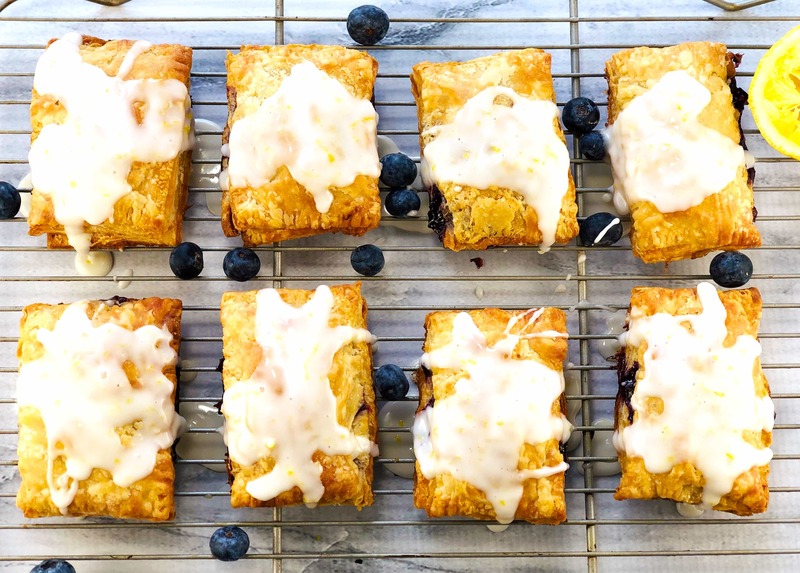 These Blueberry Handpies with the tastiest tangy-sweet Lemon Glaze ever are simple to make! You can shape them in rectangles, as I did, following directions from King Arthur Flour or just fold over circle or rustic (read:random) shapes to make them. I was able to make 3 extra “rustic” Handpies with the scraps! You can use a store-bought pie crust if you want, or your favorite crust recipe – here’s mine: Food52 Stand Mixer Pie Crust – truly, it has changed my pie-making! Fill with a simple blueberry jam, or one from a jar, no judgment, then top with a super-easy lemon juice + confectioner’s sugar glaze! Magic! Into a small saucepan, and over Medium-high heat, place the blueberries and the water. Mash with a large spoon or a potato masher. Add the sugar, mix until dissolved, cooking an additional minute. Add the lemon zest and juice and bring to a rolling boil. Continue boiling 7-8 minutes until mixture begins to thicken. Place in a glass or ceramic dish to cool completely. Slice the cold butter – about 10 slice per stick. Place slices in the freezer while you gather the other ingredients for the crust. Into the bowl of a stand mixer fitted with a paddle attachment, place the flour, sugar and salt. Mix a few seconds to combine. Add the slices of cold butter. Have the ice water at your side. Turn the mixer to the lowest speed and mix for several seconds, just until slices appear to be coated with flour and a little misshapen. Turn off mixer. When you’re ready to add the ice water, return the mixer to lowest speed and slowly drizzle in the water, until the point where the dough still has a “shaggy” look and the flour at the sides of the bowl has disappeared. This takes only a very short time, maybe 12-15 seconds or so. On a floured surface, pour out the dough. Divide in half. Shape each half into a small rectangle about an inch thick. Wrap each tightly in plastic wrap and place in the fridge for at least an hour, up to several days. Preheat oven to 350F (conventional), or 325F for Convection. After refrigerating crust, remove from fridge and let it set at room temperature 10-15 minutes, this will make it easier to roll out. Roll each rectangle into a larger rectangle of about 9×12 inches, plus a little extra at the edge. This will give you enough crust to cut each into nine 3×4” rectangles. Feel free to cut them free-form or using a ruler. Depends how perfect or rustic you care to make them. No need to separate the shapes from each other yet, just cut the lines as you wish. Designate one of the sheets of crust as “bottom” and one as “top”. Using a pastry brush, coat the “bottoms” sheet of rectangles with an egg wash, just your egg beaten nicely with a Tablespoon or two of milk or water. Place a heaping tablespoon of the blueberry jam on each egg-washed rectangle. Top each with a “top” 3×4 rectangle. Using your fingers, press down around the edges of each rectangle to seal. Gently separate each rectangle from the others at this point. Then, using a fork or a chopstick, press the edges together to further prevent the filling from leaking. Place each pie onto a baking sheet, leaving at least an inch between pies. Bake in preheated oven 30-32 minutes, or until golden brown. Don’t worry if filling leaks a bit while baking. When pies are fully cooled, mix together the Glaze ingredients and top each pie with a spoonful of the glaze. Decorate with sprinkles or finishing sugars as you wish. Pies keep at room temperature for several days. I’ve never had a PopTart but know that your homemade ones have to be a 1000 times better. I couldn’t resist one. Thanks, Karen! They are indeed hard to resist! Thanks for visiting! Thanks, Karen! I have a tough time resisting them to! Bookmarked! I am definitely trying this recipe! Thanks! Hope you love it as much as we do! Isn’t it funny that the non-safe memories are always the best ones? Haha! Your post totally brings back memories! I have always wanted to try making something like a pop tart, so I”m thinking I’ll need to try your recipe out really soon! Thanks, Katherine! It’s crazy, isn’t it, when we remember those things and how much different we do the same things these days? Anyway, thanks for visiting! Totally drooling here. BLueberry and lemon together is a dream come true. Thanks, Kim! I agree, nothing like Blueberry + Lemon. It seems they were made for each other! Thanks for visiting! I remember those rear-facing seats! My sister and I were so excited when my mom finally got a car that had them because we always thought they were really cool. Children have weird taste :). I can definitely get behind these hand pies though! OMG blueberry and lemony goodness! It’s true, kids have strange preferences. But I can tell you even they (if mine are any example) love these Blueberry Lemon Hand Pies! Glad you like them, too, Kelsie! Thanks, David! Isn’t it interesting how things change? The things that were the “coolest” now seem “awkward”? We also fought over who got to sit in the “way back”! Good times, eh? I don’t think PopTarts have lemon icing yet, but I imagine they would if we asked, don’t ya think? Thanks for visiting! Your post brought back my childhood memories when we were going to the coast for weekends, four of us; our mother used to prepare some delicacies for the road and I still remember the taste of those packages and the excitement that went along with them 🙂 Blueberry and lemon hand pies came a bit later at our part of the world bit we fell inn love with them immediately 🙂 Thank you for bringing it all back ….. Enjoy the day dear ! Thanks for travelling memory lane with me,, Davorka! Seems as the years go by, these memories of small things become more and more meaningful to us. It was such an adventure to travel! Thanks for your visit and kind words! 860 miles! And sometimes all in one day! WOW! That’s like driving from the top of the UK to the bottom (874 miles). That’s some drive. I don’t know Laura, maybe your roads are much better but I just wouldn’t consider driving so far in one day. But then again if I was fueled up well enough with these delicious lemon hand pies, maybe the drive wouldn’t be so bad! Thanks Neil! I don’t know if I’d drive that far in a single day, either, but if I were a parent faced with either 1 or 2 days on the road with 6 little girls in the car, maybe it makes more sense, ha! But those were the days when flying just didn’t make any sense it was so expensive. I agree, a little lemon-blueberry fuel would make many things even more pleasant! Laura, I had to laugh at your story. That must have been one busy station wagon. Took me back to the Vista Cruiser we had when I was a kid. It was great for “carload Monday” at the drive-in. Over our way, we just had a new supermarket open and they are very proud of the American section in their International aisle. 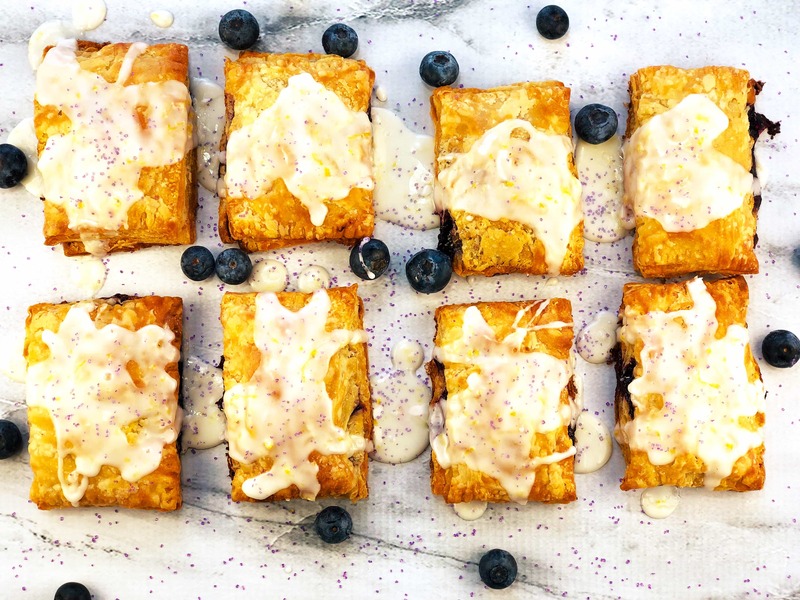 It features strawberry pop tarts…I think your sweet lemon blueberry hand pies are several notches up from that. Thanks, Ron! Sounds like our childhoods had similar modes of travel, at least! Always a station wagon for us! I find myself wishing PopTarts were at least as good as they used to be, but then I realize I’m sounding a little more “life experienced” than I like to admit to. Glad you approve of the lemon-blueberry version, Ron! Thanks for travelling memory lane with me! I’m a total sucker for a hand pie Laura! And for that blueberry lemon combination! Delicious! We’re kindred spirits here, Mary Ann! Thanks, I do love blueberry+lemon, too! Thanks for visiting! These call my name, too, Dawn! Unfortunately we’ve eaten them all – they go fast! Thanks so much for visiting! Mmmm these definitely look better than any store bought Pop Tarts and your crust recipe sounds so easy! I have made Pop Tarts before, but cheated by using frozen pie crust. I will have to try your recipe out!! Thanks, Kelly! Yes, this crust recipe is THE BOMB! I’ve made it 4 times and it’s been perfect each time! 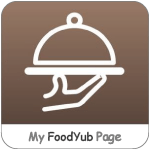 Hope you get the chance to try it out!